Key Difference: Both bands and orchestra are types of musical ensembles. Orchestra is the older ensemble. The average orchestra has between 75 and 100 different musicians, who play symphonic music. Bands vary in numbers and the type of music they play. While a musician or a music student might be able to tell the difference between a band and an orchestra, chances are that a layman would just end up scratching their head in puzzlement. Both bands and orchestra are types of musical ensembles, each with its own set of guidelines. Like with any other things in a group, there are many similarities and difference between the two. Orchestra is the older ensemble between the two. It is typically a large ensemble. The average orchestra has between 75 and 100 different musicians. However, small orchestras do exist. If an orchestra has less than 50 people then it is called a chamber orchestra. A band, on the other hand differs. It is usually more than 2 people; the exception here being the one-man band. Still, bands are often not as large as orchestras. Marching bands are often the largest bands. 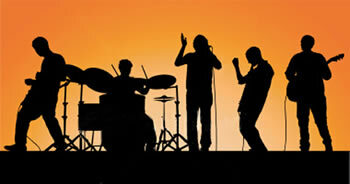 The problem in defining a band is that the term refers to many different types of bands. It can be a one-man band, a two people band, three people, four, five or even six. It also refers to rock bands, pop bands, jazz bands, metal bands, punk bands, etc. There are also marching bands. Each band is different from the other, which just adds more confusion to the matter. Another difference between bands and orchestras is the type of music they play. While bands play a variety of music, some of which have already been stated, orchestras traditionally play only classical music, typically symphonies which are specifically written for the large orchestras. However, a recent trend is that some orchestras do play symphonized versions of popular songs. Still, these are mainly a marketing gimmick aimed at attracting more audiences, mainly younger ones. They types of instruments that are played by orchestras and band also differ. Orchestras include a large ensemble, consisting of strings (violins, violas, cellos, bass), brass (trumpets, trombones, French horns), woodwinds (clarinet, oboe, bassoon, flutes, piccolos), and percussion (snare drum, bass drum, cymbals). Bands, on the other hand, traditionally are said to play only brass and woodwinds. However, concert bands these days often utilize a variety of instruments including those that are traditionally played by orchestras, such as percussion, strings, keyboards, etc. In fact, there are bands that have utilized an entire orchestra for a piece. A further traditional difference is the type of setting they play. The orchestra would typically play a concert hall, whereas a band often plays smaller venues. However, these days it quite common for popular bands to play concert halls and other venues even larger than concert halls. Marching bands also tend to play songs especially written for them called marches in parades or sporting events, usually football. Can be as less as 1 (one-man band). Most commonly 2, 3, 4, 5, or 6. Marching bands tend to have more people, often less than 50. The size of an orchestra is most commonly between 75 and 100. Smaller orchestras of 50 or less people are called chamber orchestras. Primarily composed of instruments requiring a person's "wind" to make them work, like brass and woodwinds, along with percussion support for an insistent rhythm. Any type of music including symphony, jazz, and pop. Marching bands are associated with playing marches in parades. Various, individual and private settings to large concert halls. May also play parades and entertainment venues. BTW marching bands usually have like 200 people per marching band.